Everything you need to know about the computing paradigm that’s disrupting the cloud, who’s using it, and whether you should consider getting on board. Discussion around IT is rife with trendy buzzwords, and for business leaders, it can be hard to understand which terms deserve their attention and which don’t. Edge computing is the latest example of this phenomenon — is it a flash-in-the-pan fad, or does it represent a new wave in IT that your enterprise should not overlook? The answer to this question depends on what your business does and what capabilities you’re interested in developing. The edge isn’t the kind of all-encompassing disruptive force that cloud computing has proven to be — that is to say, it’s probably not mission-critical for every business in every vertical. But for many businesses, it could offer a serious edge over the competition in terms of speed and efficiency. Companies hoping to take advantage of the Internet of Things (IoT) or get real-time visibility into their operations will want to consider moving their compute and storage resources to the edge. The past few years in IT have been defined by a migration to the cloud, with enterprises of all kinds relying on software tools that store and process data in a remote, centralized “cloud” database and send it back to personal devices. Communication platforms like Slack and Gmail are among the most prominent examples of this trend, but today there’s a cloud-dependent Software-as-a-Service (SaaS) solution for virtually every business need, no matter how esoteric. Whether it’s supply chain management or an applicant tracking system for your company’s HR department, companies are relying on the cloud to handle practically every aspect of their business. The cloud migration has been primarily driven by the ease and cost-efficiency of these services relative to hosting all your IT activity with your own on-site, physical infrastructure. Technologies like the Internet of Things, however, are causing many businesses to rethink that. A considerable part of the promise of the IoT depends on the ability of connected devices to relay and receive information quickly, both with one another and the internet. While centralized cloud computing does offer convenience, it also requires that devices communicate with physically distant servers, introducing the problem of latency. If you’re trying to get real-time insight into operations, a lag in connectivity is going to hamper your ability to do so. That’s where edge computing comes in. The ultimate goal of edge computing is to extend a business’ operations to the edge and remove the latency/downtime typically needed for data to process or transfer to headquarters and then back out to field operations. By moving compute and storage to the edge of the network — that is, within or right next to the devices that need it — the gaps between the creation, processing, and analysis of data is kept to an absolute minimum. This typically means that all or most of what you need to process data exists on (or near) the same device that’s collecting it, rather than at a remote cloud database hundreds or thousands of miles away. 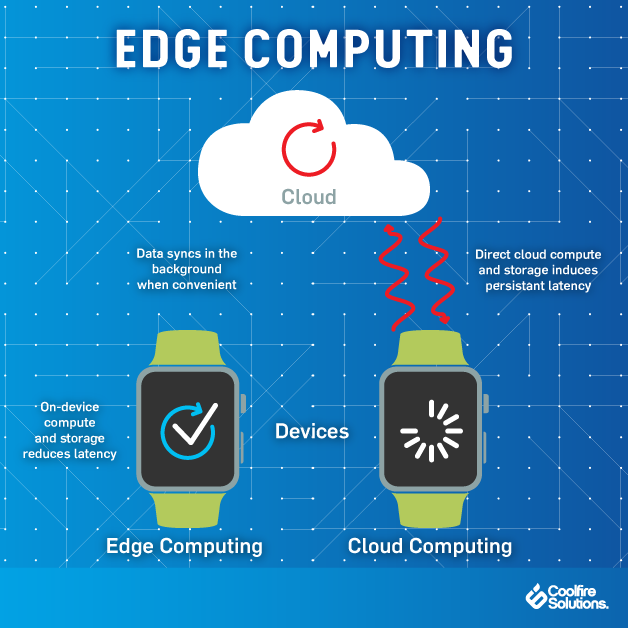 Do you need to consider edge computing? That essentially depends on whether or not you need to deliver data at lightning-fast speeds. If you’re a business that doesn’t depend on real-time insights into operations — like a consulting firm, for instance — then edge computing probably shouldn’t be your top priority. If you’re collecting data in physically remote and disparate locations or need to improve the speed of your processing, then moving your infrastructure to the edge might be an absolute must. In many industries, employees are stationed in remote locations many miles from their supervisors, often without a strong cellular signal. 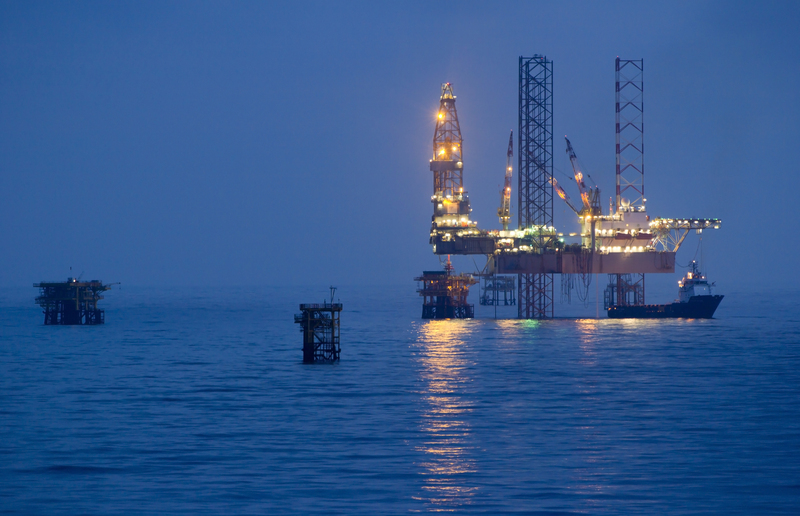 On many oil rigs, for example, workers are forced to rely on an intermittent connection to the internet via satellite, which can be interrupted by something as commonplace as cloud cover. If these oil companies hope to use sensors to monitor things like the temperature of pumps, they must be able to process and analyze data locally — otherwise, these sensors will only be as dependable as the weather. In this way, edge computing makes it possible for organizations to use advanced technology in geographically disparate and remote areas. Cloud computing requires a constant connection to the internet, and even when you’re connected, there’s the problem of latency. Edge computing brings the power of the cloud to areas where it might otherwise be difficult to connect. Waiting for data to be transmitted from the edge back to a centralized cloud server for processing and analysis before it can be sent back isn’t always an option. First responders, for instance, require real-time insight in order to respond appropriately in an emergency. The latency eliminated by processing and analyzing data from the device itself can make all the difference in the kind of life-and-death situations these professionals must face every day. 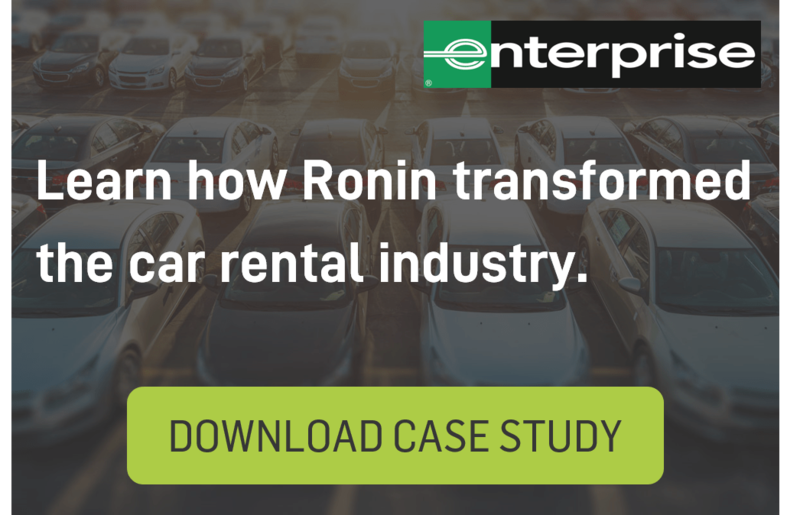 As enterprises know well, even the slightest inefficiency in your work processes can quickly add up to substantial overhead costs. The incredible processing speed enabled by the edge can be used to either identify or eliminate these inefficiencies. In manufacturing, for example, IoT sensors might be used to detect when products with deficiencies have made their way onto the conveyor belt and pull these defective products off. The low latencies enabled by edge solutions means this kind of quality check could be done without slowing down the production process in the slightest, cutting overhead costs and improving product quality simultaneously. Edge computing is an outgrowth of the cloud that re-architects IT networks to decrease the time between when data is collected and when a (data-driven) decision can be made. Organizations that need to process data quickly and in remote locations will want to consider edge computing applications, especially if they’re planning to make major investments in IoT infrastructures.